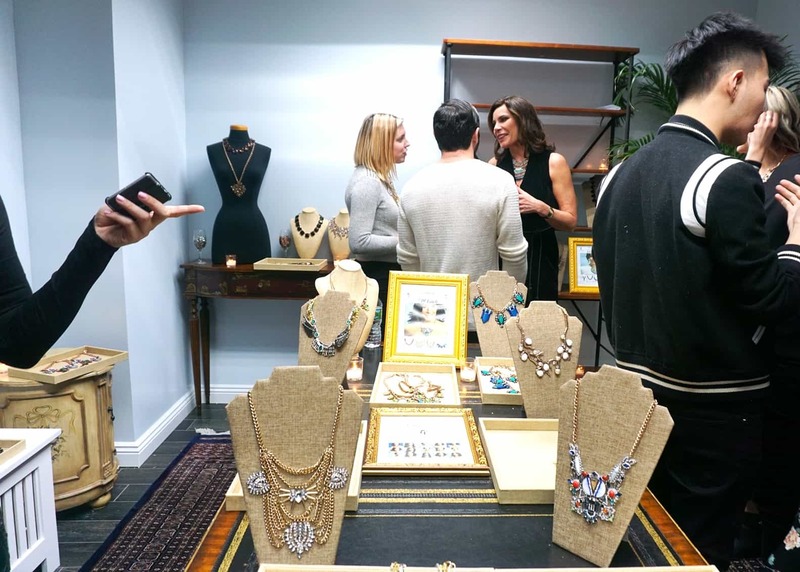 LuAnn de Lesseps sat down with Reality Blurb at her Valentine’s Day pop-up shop hosted by SuperJeweler at their showroom in New York City last week. After meeting and mingling with several fans and showcasing her jewelry line, Countess Collection x SuperJeweler, LuAnn opened up about the upcoming 11th season of The Real Housewives of New York City, the drama amongst the cast, and her jewelry collection. “We travel, as always, we always have our crazy trip to The Berkshires. We go to Miami. I buy a new home, so you’ll see that,” LuAnn told us of what fans can expect to see on the new episodes. While LuAnn couldn’t say much about what is to come on season 11, she did address her tension with Bethenny Frankel, which she first spoke of last week. “Bethenny and I have always had a tumultuous kind of relationship. So, it has its ups and downs but at the end of the day, we respect each other,” she explained. LuAnn also revealed she will “for sure” be seen dating during season 11. Throughout the event, LuAnn mingled with her guests and fans, and styled several of her attendees with pieces from her jewelry collection. “I love jewelry. I’ve collected jewelry for my lifetime from all over the world,” LuAnn said when asked about her designs. “It’s cabaret for everyday,” she added. Since the release of her jewelry line last year, LuAnn has been flooded with amazing support from fans, which should come as no surprise. Not only are the items in the collection stunning, they’re reasonably priced and start at just $49.00. In addition to statement necklaces, LuAnn’s collection includes rings, earrings, and engraved necklaces. Getting back to RHONY, LuAnn told us she was happy to see her friend, Barbara Kavovit, added to the series’ cast for season 11. After Barbara’s addition to the show was announced, her new co-star, Ramona Singer, took aim at her by refusing to talk about her during an interview with Entertainment Tonight and making a point to confirm Barbara wasn’t a housewife, but rather a “friend” of the ladies. LuAnn revealed she confronted Ramona about her comment. “I called Ramona up and I said, ‘You should apologize!’” LuAnn revealed.